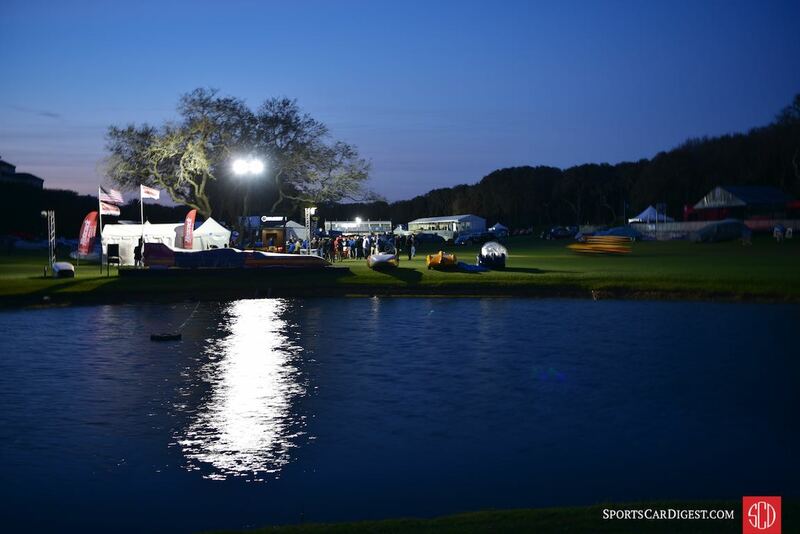 The Amelia Island Concours 2017 was held March 9-11 on the 10th and 18th fairways of the Golf Club of Amelia Island adjacent to the Ritz-Carlton in Amelia Island, Florida. The 22nd anniversary of the Concours attracted capacity crowds and more than 300 cars and motorcycles into 41 classes from 11 different countries. 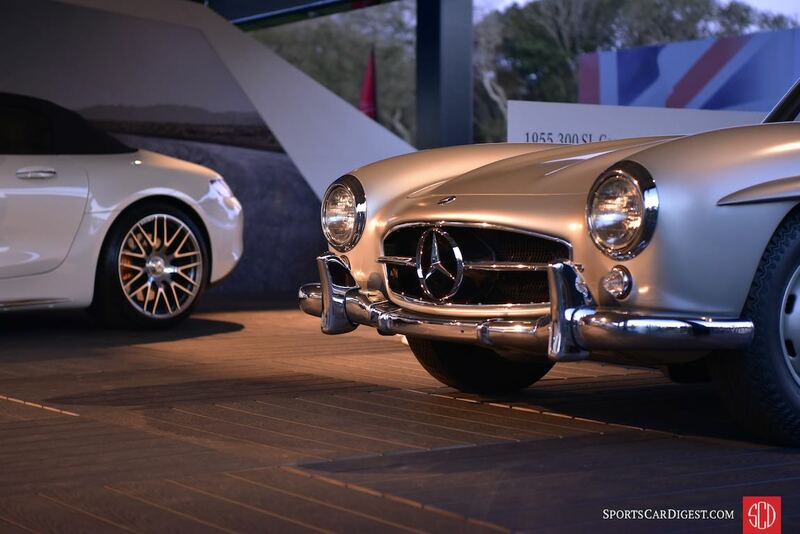 The visual history lesson that is the Amelia Island Concours again lived up to our lofty expectations as one of the premier classic car showcases worldwide. 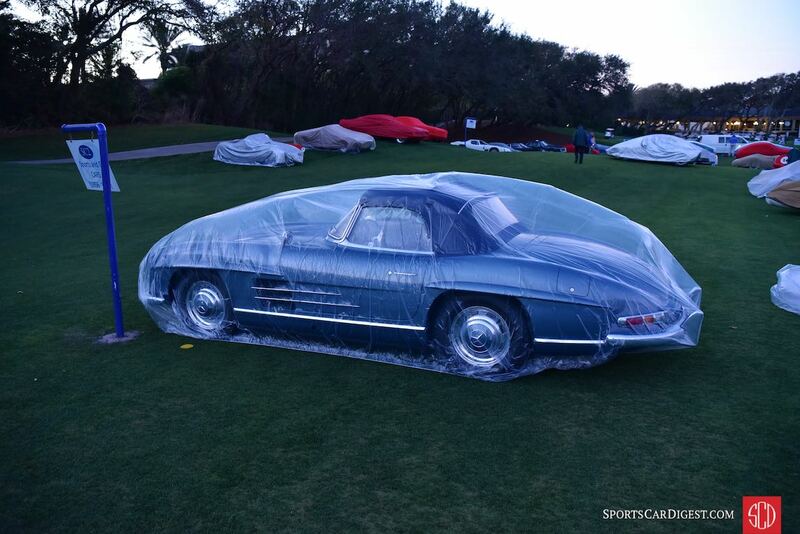 With a near-certain forecast for rain on the Concours’ traditional Sunday date, Bill Warner and his team made the unprecedented decision to move the event up a day to Saturday. While we’re sure a few feathers were ruffled, from our perspective the Concours went off without any noticeable issues. And the weather was great. 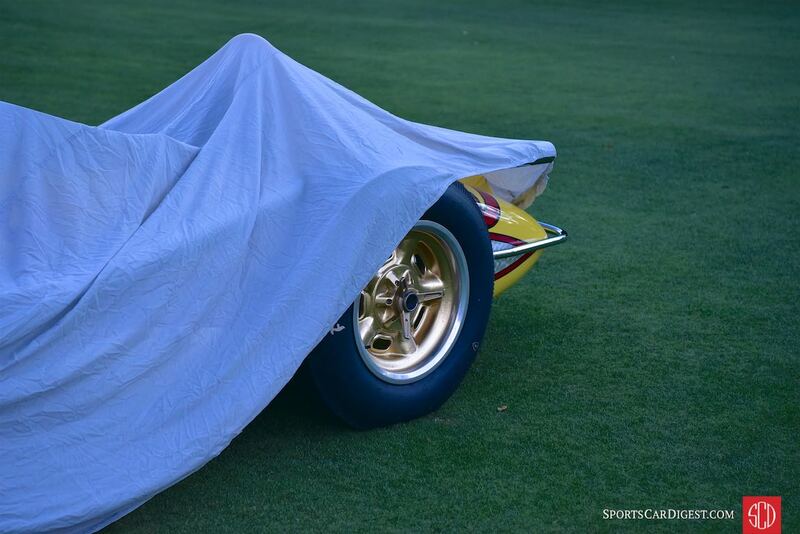 Four-time Indianapolis 500 winner Al Unser, Sr. kicked off the 2017 Amelia Island Concours d’Elegance by driving onto the field in a Lola T332. A further selection of Unser’s racers were among the highlights of the ‘Race Cars of Al Unser, Sr.’ class, such as the Porsche 962 that he co-drove to victory at the 1985 Daytona 24 Hours, the Chevrolet Camaro Z28 he drove in the IROC series and a great selection of the open-wheelers he drove to victory in Indy. 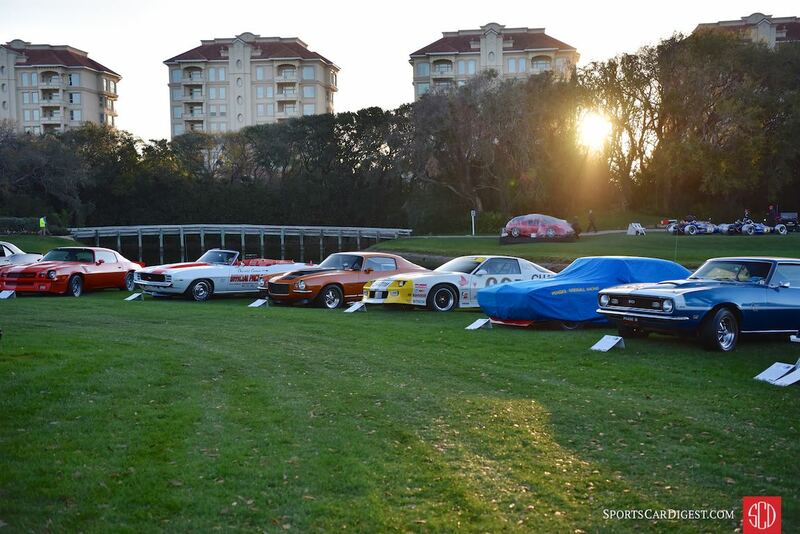 In addition to the race cars of Al Unser, Sr., the Amelia Island Concours 2017 also celebrated the Cars of Brumos Racing; the 50th Anniversary of the Chevrolet Camaro; the 60th anniversary of the Jaguar D-Type’s third consecutive victory at the 24 Hours of Le Mans; the Cars of Marmon; Japanese Power; the four-cam, four-cylinder ‘Giant Killer’ Porsches; The Cars of the Movies; BMW 501-507; Streamliners and much more. Chevrolet celebrated the Camaro’s Golden Anniversary with some of the most notable vehicles throughout the model’s 50-year history. The Camaro class was led by Camaro Number One, the gold 1967 coupe VIN number 10001, which was joined by the 1968 and 1969 Yenko Camaros, a 1969 Indy 500 RS/SS Pace Car, a 1973 Baldwin Motion Camaro and a COPO Camaro. Headlining the Jaguar D-Type class were two surviving Le Mans-winning Jaguar D-Types, marking the 60th anniversary of its third consecutive and final victory in the 24 Hours of Le Mans. In total, eleven D-Types and three XK-SS models were on display at this year’s event. The Best of Show Concours de Sport was awarded to the 1939 Alfa Romeo 8C 2900B Lungo Spider from the Dano Davis Collection and Best of Show Concours of Elegance at the 2017 Amelia Island Concours went to the 1935 Duesenberg Model SJ-582 owned by Terence Adderley. (See Best of Show gallery). 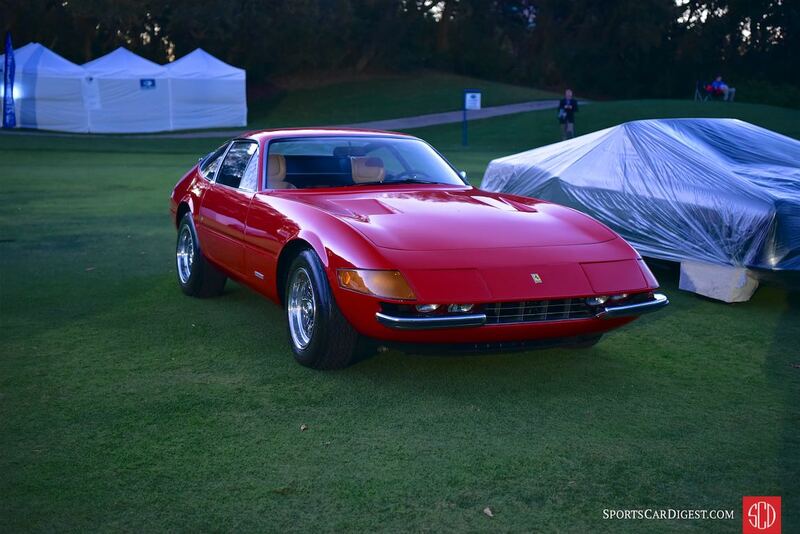 The 23rd annual Amelia Island Concours d’Elegance will be held March 9-11, 2018. The show’s Foundation has donated over $3 million to Community Hospice of Northeast Florida, Inc. and other charities on Florida’s First Coast since its inception in 1996. 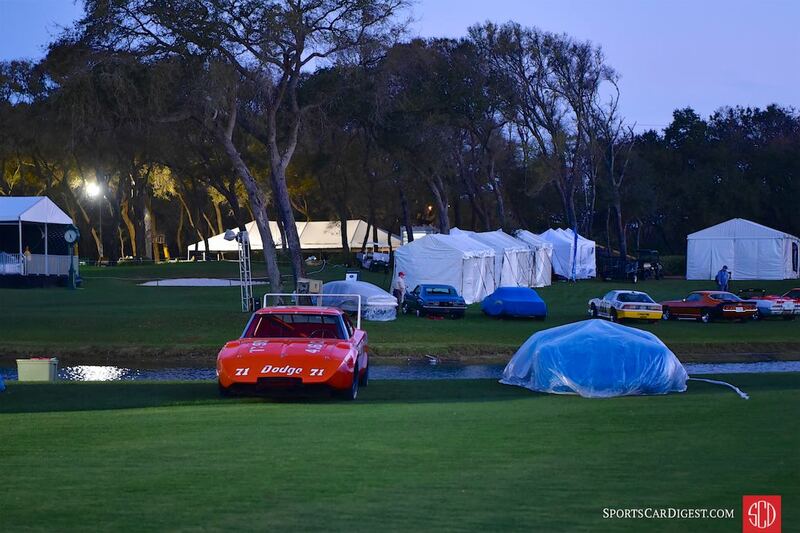 Don’t fret if you didn’t attend the Amelia Island Concours 2017. We took enough photos to fill a library. 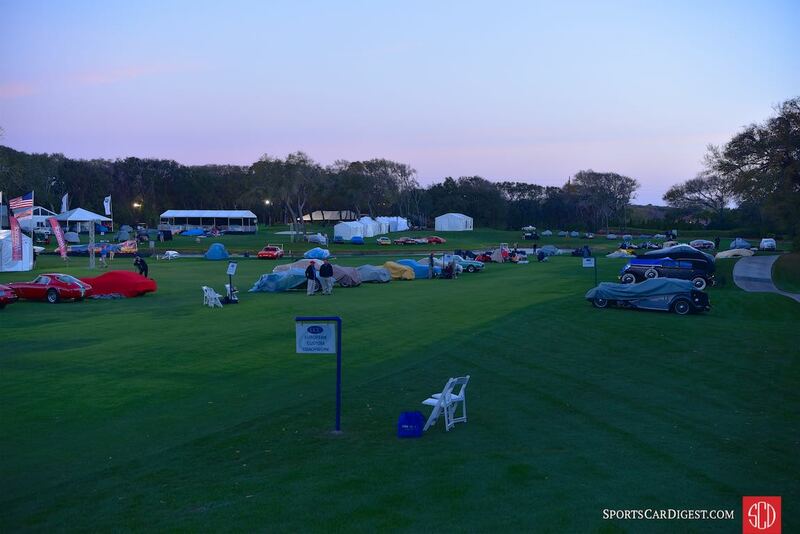 Similar to 2010, 2011, 2012, 2013, 2014, 2015 and 2016, Sports Car Digest also documented this year’s banner event with the following selection from the fairways of the Golf Club of Amelia Island. Great photos, as always. The D-types and Brumos guys are truly some of my all-time favorites. Page two, photo six (red JT3770) is actually a 1936 MGPB, not a TC. Thanks for the heads-up. We’ve updated the caption. Thanks…. but it’s 1936, not 1939… Sorry to be picky! LOL. Beautiful pictures…some year I will get there. I said the same thing for 20 yearts. Finally went this year and it is worth it. Go! Outstanding photos! I’ve been every year since the beginning. It’s a pilgrimage for me. If I saw any one of these cars on any given day, I would be bowled over. Seeing this many wonderful cars at one time in the same place is like paradise to me. I plan my whole year around this weekend! The black Ferrari 275 is NOT a 275/4 cam, but an early 275 GTB 2 cam short nose car. The Cream/black Ferrari 212 is a 1951 NOT a 1971. Sorry to be picky, you guys do a great job that isn’t easy. We do appreciate it! Thanks for keeping us on our toes, Brian. We really appreciate it! We’ve updated those captions accordingly. FANTASTIC SHOW HOW DO I KNOW BECAUSE I WAS THERE WITH STEVE AND TERRY BEST SHOW IN OUR 135 YEARS EXPERIANCE . This was my wife and my third year attending. We are lucky to live only a few states away. I suspect that many of these historical treasures only see the light of day a few select times per year. Thank you for going to the trouble of allowing your investments to be seen at this great event. Every year the categories are different, and every year we have such an amazing time. Additionally, the event gives to charities. To the automotive dealers who continue to support this event: the deepest thanks of my wife and myself. This is one of the highlights of our annual getaways. Nice mix, where to start? Minerva featured on Chasing Classic Cars; RS 718 #14; Big Al rides; ‘liners …. well done A. I. You beat the weather, too. Wonderful cars, great pictures-but D-types were made for racing and if you can afford to buy one, you can afford to race it or put a good driver in in it to race it and thus many more enthusiasts will see the cars, not just the wealthy few that can attend such events. Didn’t go this year. Getting bored with this one. More fun looking at these photos. Like the photos of the cars at dusk and the ones driving into the event the best. Great photography. Hard to make cars parked on grass interesting. Great job! Better than being there! Thanks to everyone who dropped by to see the Allard J2X MkII on display in the booth next to the Jag D-types. Will be back next year with the J2X MkIII. I noticed a 1966 AC Cobra named “King Cobra”. Original owner was Clem Hoppe of Ridgefield, NJ. Does this car go every year to the event? I went to school with Clem and remember the car well and know some of the history of it. Would love to come down to Florida in 2018 if this car will be there.